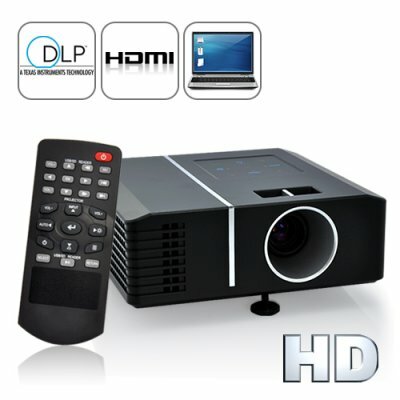 Successfully Added Wonder View - DLP Mini Projector with HDMI, VGA, AV, More to your Shopping Cart. Why Choose a Mini Projector? Maximum convenience. The Wonder View HD Mini Projector is designed to go where you go and meet your every demand - business or pleasure. It comes with HDMI, VGA, AV ports and a slot for SD cards and USB flash drives, allowing you to plug in a variety of devices, like your PC, laptops, MP3 players, cameras, gaming consoles, and so much more. Best of all, the screen can reach a maximum of 100 inches, which is like carrying around a large-screen TV with you wherever you go! Why Choose Chinavasion? Price, reliability, and next-day shipping. The Wonder View is brought to you at a factory-direct price that cuts out the middle man, bringing you the lowest price possible. Also, our team of quality control experts test every single product to make sure you get what you asked for, as well as throwing in our famous 12 month warranty to put you at ease. There's never a need to worry with Chinavasion, the leader in wholesale electronics.